Thirty nine-year-old Yeduguri Sandinti Jagan Mohan Reddy has been in the limelight ever since his father and former Andhra Pradesh chief minister YSR Reddy died in a chopper crash. 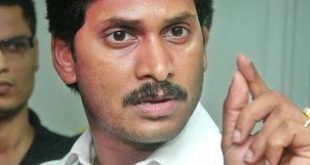 The Congress did not appoint Jagan Mohan as his successor which fuelled trouble for both the faction-ridden state Congress unit and the party high command with his defiant attitude. 30 MLAs, many from Congress, and 2 party MPs in Andhra Pradesh today decided to resign, protesting inclusion of former chief minister late Y S Rajasekhara Reddy’s name in the FIR filed by CBI in a probe into the assets of his son Jaganmohan. Hyderabad: A day after it registered an FIR against YSR Congress chief Y.S. Jagan Mohan Reddy in the illegal assets case, the CBI today conducted searches at the premises of various companies which have invested in the businesses of the Kadapa MP in five cities. Jaganmohan Reddy, YSR party president and Kadapa MP, on Tuesday approached the Supreme Court challenging the Andhra Pradesh High Court decision to order a CBI probe into his assets. YSJ To launch party on March 7th?